OC Toxicology provides a wide range of support services too allow you to do what you do best, care for your patients. Support services include all that is necessary to allow for accurate and timely drug testing and toxicology reporting and compliance. All of our support services are customized to meet the needs of our clients and partners. Our experienced staff provides the resources and experience to develop a specimen collection process that meets the needs of your business. All collection and delivery processes are documented to ensure the most accurate and efficient solution. Ongoing collection support is provided for all of our clients. At OC Toxicology all of our drug testing services are provided with all necessary supplies free of charge. 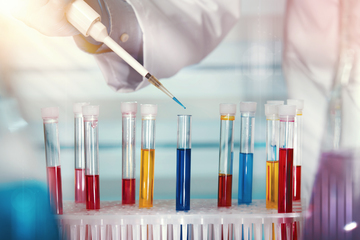 Laboratory delivery is provided free of charge and is designed around your individual collection process. The primary goal of all of our drug testing solutions is ease of use and administration for our clients. All of our new clients and partners receive on- site comprehensive training for all staff. Training and support includes on-site training from one of our on-boarding specialists. Comprehensive training is provided to ensure ease and accuracy of requisition preparation, specimen collection, receipt and interpretation of results, and compliance.